Submitted by admin on Mon, 08/31/2015 - 14:33. Our next meeting will be Tuesday, September 15, 2015. Bio: Matthew Tyler has worked as a software engineer for the past 30 years at companies large and small, with the last 14 years exclusively in the medical device field. 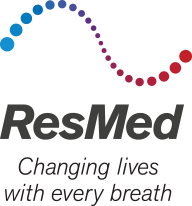 ‎He is Software Section Lead, Healthcare Informatics, at ResMed.